The path to diagnosis is often long and complicated, especially when the doctors you see for it are not familiar with our cases or the workup warranted. Even when the medical teams *are* familiar with pulsatile tinnitus, the cause can be elusive. The April 2019 edition of The Hearing Journal reports on a 55-year-old female patient with pulsatile tinnitus that had an MRI eight years ago, which came back "clear." She started her quest again recently with another MRI, which also returned with no remarkable findings. It's not clear whether the advocate for further testing was her doctor or herself, but she proceeded to have more tests to find answers. According to the report, a recent MRV finally revealed the cause: transverse sinus stenosis, a narrowed vein near the brain. The abstract nicely describes some of the complexities of pulsatile tinnitus, a symptom with no straightforward workup warranted (no flowchart that is appropriate in every case, or priority of diagnostic tests) and which may be caused by numerous possible underlying causes that cross over many medical specialities. This patient reported pulsatile tinnitus ten years ago. TEN YEARS AGO. Chances are, if she'd had the MRV back when she had the MRI, her diagnosis would have been detected. Now, with a diagnosis, she can discuss with her doctors whether or not she should stent the vein to try to relieve the whoosh, which has been discussed in numerous medical reports and patient stories in the last ten years, or some other intervention. But, ten years ago, much less was known and discussed about pulsatile tinnitus and this underlying cause, specifically. Also, the imaging nowadays is much improved. Recent studies, like this one, report on the possible connection between transverse sinus stenosis and intracranial hypertension, a condition that itself remains mysterious and is often misdiagnosed. Nonetheless, patients still do not receive the appropriately complete workup warranted to look into the underlying diagnosed cause for pulsatile tinnitus. The Hearing Journal report doesn't make clear the circumstances of the patient's incomplete workup from eight years ago. Maybe her doctors suggested that, since the MRI came back "clear," she was fine and should just "live with it" (words we pulsatile tinnitus patients shouldn't hear until a complete workup is achieved). Perhaps (and just as likely) the patient may have opted out of further testing once the MRI ruled some things out. Undergoing testing is difficult for many patients - it's time consuming, often worrisome and not to mention expensive, especially for those of us who pay out of pocket. What shouldn't be lost in this report, is that it is NEVER TOO LATE to start or REstart a search for answers to the cause of pulsatile tinnitus! Imaging improves over time, and much more is understood about pulsatile tinnitus now than a decade ago. Ten years from now, we expect even more advancements in technology, medical studies and awareness. This patient endured the whoosh for ten years before finding her diagnosis. Be your best advocate! See more medical reports on Transverse Sinus Stenosis on the Cured Whooshers page. This report, about a 37-year old man with pulsatile tinnitus, explores some of the pitfalls of evaluating our symptom. Lucky for this patient, after a number of tests that returned "normal" results, doctors continued the evaluation and found that he had a carotid cavernous fistula. From Cedar Sinai, a carotid cavernous fistula is an abnormal connection between one of the two carotid arteries and the veins just behind the eye. We don't really know from the article how this patient fared after the diagnosis, but the report describes the complexities often encountered when evaluating our cases. He'd been experiencing pulsatile tinnitus and vision issues for two years, saw a number of different specialists and endured multiple diagnostic tests that came back "normal" (sound familiar?). The article reinforces that many causes, like CCF, require the expertise of mulitple specialists. The report ends by telling us the patient's case was sent back to a neuro-opthalmologist. *The patient's pulsatile tinnitus, which he experienced for two years, did not change with head or neck manipulations. *The patient's initial tests showed "normal" results. "The sudden unilateral development of pulsatile tinnitus warrants a complete head and neck exam, audiogram, and imaging studies." Read more about CCFs HERE. Symptom: Pulsatile Tinnitus, Djalilian, Hamid R., The Hearing Journal. 72(3):36,38,40, March 2019. Also, see the Cured Whoosher story posted on this site several years ago HERE and many other Cured Whoosher stories on the Cured Whooshers page. Over the years we've heard from a handful of Whooshers who reported experiencing pulsatile tinnitus right after or soon after having a grommet inserted. The insertion of a grommet, also called a tympanostomy tube, is a common procedure for children with persistent ear infections, but many adults get them as well. Here is a story from a Whoosher (she prefers to remain anonymous, and we respect her wishes) who recently reported that her pulsatile tinnitus was a direct result of a grommet, despite the doctors believing that could be the cause. She didn't experience pulsatile tinnitus before the procedure, but began experiencing it soon after. Though she met resistance, she persisted and she was cured when the grommet was removed. Thanks for sharing your story! We'll be adding it to the Cured Whooshers page. I want to let others with pulsatile tinnitus know about how my PT stopped. I had a tube (grommet) placed in my right ear due to an infection in May 2017. The pulsatile tinnitus began intermittently in the fall, and became much worse by April 2018. By fall of 2018 it was almost without stop. I had a full diagnostic work up and no cause was found. A friend who is involved in sound production suggested it might be related to the ear tube. All of my doctors told me that was not possible. The ear tube didn’t come out on its own, though it did migrate. I had it removed in outpatient surgery on January 24, 2019. My pulsatile tinnitus stopped when it was removed. I read online about another woman with the same experience i.e with PT while an ear tube was in place, relieved when it was removed. I just want to be sure that this possibility is on the radar for others suffering from this disorder. I got my life back from that simple procedure. February 10, 2019: It’ll be two weeks tomorrow since the tube (grommet) was removed and NO pulsatile tinnitus!!! I had one episode where noises sounded very loud that lasted for a few hours. Very scary, but then it stopped. Based on another’s experience, some strange sounds aren’t unusual after the grommet is removed. Thank you. Whooshers was a great resource and comfort to me while I was going through this. Be Your Best Advocate! Another Diagnosed Whoosher Shares Her Story. We here at Whooshers.com have been busy as ever (hence the rather long period between posts here). Emails continue to pour in, many from patients who are new to pulsatile tinnitus and need guidance. We routinely receive success stories as well, from patients who find a diagnosis and treatment. We haven’t been sharing enough of these stories, which are so important to share as they encourage members of our community to be our best advocates! Laura, good for your for being your best advocate. Please keep us posted on your progress! Thank you for setting up your amazing site! I first noticed a whooshing sound in my left ear around Christmas time and thought we had a faulty central heating radiator. Then I realised it was me! I saw a doctor who gave me a sinus decongestant, but I knew something was wrong with my ear so I went back again and asked to be referred to an ENT. He did hearing tests and told me it was likely to be Eustachian tube dysfunction, as I fly quite a lot internationally with work. After a week and the noise driving me mad, I went back again to the ENT and he referred me for an MRA. I was diagnosed last week with a DAVF (Dural Arteriovenous Fistula) in my sigmoid sinus. I saw a Neurosurgeon this week and he has now involved a Neuroradiologist. I have an angiogram booked on 1 March to assess the DAVF and decide on treatment. Your website has been a life saver. When I searched DAVF on the Internet I was just stuck with lots of complicated medical articles written for other medics. I felt so relieved when I found Whooshers.com and saw others have the same condition. Thank you again, and I’m keeping my fingers crossed I can have my DAVF treated and eliminate my PT! I’m based in London and although DAVFs seem quite rare I’m hoping it can be resolved by someone here! For more info on DAVF see neuroangio.org. 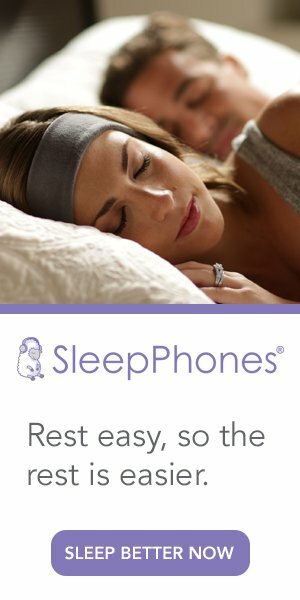 BLACK FRIDAY & HOLIDAY 2018 SleepPhones SALE Nov 23-30! Click THIS LINK and use code WHOOSHERS at checkout for 10% off all orders Nov 23-30 2018! The nice folks at SleepPhones will also donate an addiitonal 10% of all sales to the Whooshers community when you use the special link. Click here to read the Whooshers.com review of SleepPhones. I'm thankful for stories like this one. Real experiences from real people who have had a journey - usually a complicated one - with pulsatile tinnitus, but have ended up with a diagnosis, treatment and silence. Each experience is a reminder of the complexity of a relatively rare symptom - pulsatile tinnitus - and the need for patients to be their best advocates. Chuck, thank you for sharing your story. I sure am thankful that this site helped you. Enjoy the silence! It all started in Jan 2018 when I got up in the middle of the night and heard a faint noise. The noise was very faint at first, a low volume of the whoosh, whoosh. It was a couple of months before it started getting louder. Eventually, I heard it all the time. The next day I heard it at work and realized the noise was coming from me. So, I started with my primary care doctor who thought I just had some fluid on my ears and prescribed treatment for that. Of course the noise did not go away and a couple more trips back before we thought that I should see an ENT. He seemed concerned but also had no idea what it could be. Gave me the usual hearing tests before deciding to send me for an MRI. You guys who are going through this are well aware of the time lapses between appointments, tests, and the uncertainty of just what is going on here. The MRI came back with everything looking "normal" and a general feeling from my primary care and the ENT of I am not sure what the next step is. I did some web searching myself when I ran across Whooshers.com. Hey, this sounds just like what I am going through. I read all the stories and particularly the ones of successful healings on the Cured Whooshers page. I went back to my primary with the website pulled up on my phone telling her we need to take this up to the next level. I am no medical person myself but from what I read a neurologist was the next step. He said that he had heard of this before and there was really nothing I could do about it but ordered a CTA with contrast anyway. CTA came back normal and the neurologist was ready to recommend that I just live with it. I wasn't though because to me the constant whoosh whoosh was very annoying and getting louder I thought. I showed him the website and talked of a neurointerventional radiologist. I had also read about circulating your test results and he agreed to do that. He sent them to a neurological surgeon in Louisville, KY who looked them over and found nothing himself. We were at this 9 months now and to tell you the truth I felt fine physically. Nothing really wrong with me except this constant noise in my head. Maybe I could live with it. But as I kept going back to this website I kept finding new things to try. I read where a doctor put the stethoscope to a patients head and heard the noise and that others recommended not to stop and that a cerebral angiogram with contrast is the gold standard of testing. So, with a renewed purpose I made an appointment with a second ENT and asked him to listen with his stethoscope. He did and he heard the noise himself. What a relief, I am not crazy after all. With this new evidence I was sent to the neurosurgeon who also heard the noise and set me up for the angiogram where he found the arteriovenous malformation (AVM). It is important to stop here and say do not quit on this. I know there are many causes of pulsatile tinnitus and some cannot be ignored. That was my case. The neurosurgeon said mine was a stroke waiting to happen. If I decided to just live with it it may have not been long to live with it. Dr. Jonathan Hodes of Baptist Health in Louisville, KY is the man who got me fixed. First doctors I went to were concerned but unsure of the direction to go in. Info I got off Whooshers.com was used to help the doctors go in the right way. Thank you for starting this site. You have helped a lot of us fellow whooshers. I encourage you all who are still suffering to not give up but keep trying. My prayers are with you. For more information on AVMs, see Neuroangio.org. Pulsatile tinnitus is a symptom. There are many possible causes of pulsatile tinnitus. For more info on this and other causes see the Cured Whooshers page where you'll find links to medical reports and more personal stories. I gotta tell ya, you have no idea. I recently received this personal story from a Whoosher who pushed and pushed for diagnostic tests - tests that our symptom, pulsatile tinnitus, clearly warrant - and she finally found a diagnosis. It's yet another inspiring example of diligence and perseverance for answers. My journey began at the end of January 2018. I woke up one morning with my left ear blocked…like I had an ear plug in my ear and it would not clear. I was not sure why this occurred since I had not been sick at all but have had a history of sinus/allergy issues forever. I went to my ENT who told me to take allergy medicine daily for 30 days along with a nasal steroid which would open up the ear over time. I did as the doctor told me and followed the medicine routine religiously. Nothing changed. At the same time I was having dizzy spells and my body felt off. I then started hearing my heartbeat in my ears about 2 weeks after my blocked ear which started keeping me up at night since it was worse when I laid down. I was not sure what this was, so I went to my General Practioner and told him my symptoms and informed him what my ENT told me. He agreed with the ENT and told me to keep on the allergy medicine routine to see if this would change the outcome. He said that since my ear was blocked I was probably more aware of the sound now. He did order blood work though since I had not had a physical in a long time just to see where my levels were and to rule out any other possible issues. I left the doctor’s office and tried to grin and bear it. I struggled with sleep but did the best I could to ignore it and move on. My blood work came back about 1 week later which did show that my thyroid was high and my Vitamin D was low. The doctor told me to buy a Vitamin supplement but did not feel that my thyroid levels were “high enough for him to begin treatment.” I thought that was odd especially since thyroid issues are hereditary and run in my family (my grandmother, mother and aunt all have thyroid issues) but trusted the doctor at that time since this was how I was raised. I was not feeling well and the whooshing was really bad at night. Some nights were so bad that I could feel my heartbeat throughout my entire body which was keeping me up. It was now the end of February 2018 and I was trying to work through it but having issues feeling ok at work. I then went back to my GP in March and told him that I was not getting better, I was not sleeping well and that my body felt like electricity was running through it. He still refused to deal with my thyroid and referred me to a neurologist since my head was now feeling tingly all over when I touched it or ran my fingers through my hair. I went to the neurologist the next day who said he thought it was migraine related and ordered an MRI. The results were back a few days later….they came back normal. I was discouraged but the neurologist said I should take Depakote (anti-seizure medicine) for 30 days to see if this helped with the whooshing and sleeping. It did for a bit but then came back. Plus, I was not happy having to take medication for something when I did not have a diagnosis but I did as the doctor told me and followed through with the medication for 30 days. After 30 days was up and no change in results in the whooshing arena, the neurologist told me he was not sure he was able to help me any further. By this time, I had come across Whooshers.com and asked the neurologist if he would order an ultrasound of my carotid artery to check for anything vascular, which he did. He ordered the test for my neck (not my head) but I thought it was better than nothing. I found that doctors don’t like to request tests unless you push and push - so that is what I started to do. I was on a mission to determine what was wrong and I was still feeling awful. The ultrasound was completed in late March and came back normal. Discouraged again, as I knew that there was something wrong but doctors were telling me that it was in my mind. Funny thing was when I was getting the ultrasound, the technician asked why I was there and I told her about my whooshing. She asked if I was anemic since she was and did get that whooshing sound when her levels were low. I told her that no one had said I was but it made sense to me that that could be an issue since my thyroid was high but no one was willing to help with that. I then started down the anemic path thinking that something with my thyroid issues may be causing my whooshing issues. I went back to my GP to push for getting on thyroid medication. I was then told that I was having anxiety and he wanted me to take Lexapro to deal with that first, before anything else. I did not go back to him after that. It was at that time that a friend referred me to an endocrinologist to have my levels reviewed. Why my GP never mentioned that there was a doctor who specialized in thyroid I don’t know, but I was willing to do anything at this point. I needed someone to believe that I was having symptoms even if the test results for the most part were coming back "normal." I did not know how to get better and needed to find a sympathetic doctor who would really take the time to help me figure out what was wrong. I went to see the endocrinologist at the end of April who looked at my blood work and said that I needed to be on thyroid meds for sure. He did not understand why my GP was not willing to put me on thyroid since my levels were clearly an issue. He also said that thyroid issues cause rapid blood flow, which may be why the whooshing sound I hear was high though he did say that my thyroid issues were not the reason for the whooshing since it was not a common symptom of thyroid issues. He also told me to not take Lexapro since I was not anxious or depressed and said that he finds that a lot of GPs prescribe anti-anxiety medication when they do not know how to diagnosis or treat thyroid issues. He said that anxiety is a very common thyroid imbalance issue and with what I have been through it made sense that I would have a bit of anxiety since I was not feeling well. I was relieved that my thyroid was now being dealt with but was still unclear about the whooshing. I did leave this doctor’s office feeling optimistic, which I had not done in awhile. I left that day with a better outlook and knew I was on the right path. I started taking my thyroid meds the next day and a lot of my symptoms subsided (dizziness and electrical feeling throughout my body), however the whooshing was still there, just not as loud as before. I then continued on the path of working to figure out my whooshing. I found a new GP who agreed with the possibility of anemia and found that my ferritin levels were low, which can cause a whooshing-like symptom. I was on iron supplements for 90 days and my whooshing did improve a bit but was still there. When I went back to check my ferritin levels and they came back within normal range, my new GP decided to order an MRA since she agreed with me that this may in fact be something vascular since my “levels” did not eliminate my whooshing symptoms. I was grateful that she was willing to work with me to find an answer. I underwent my MRA test in August which came back abnormal showing that my right cavernous carotid artery and the right supraclinoid ICA segment were approximately 50% narrowed, causing obstruction in blood flow. It was bittersweet for me since artery narrowing is a scary finding, but at the same time I was finally getting answers and tests were coming back with a finding. Both my ENT and my new GP referred me to a neurosurgeon who then requested a cerebral angiogram to be completed. I had this test done mid-August which came back confirming the finding. The results confirmed an approximate 70% narrowing of the right cavernous carotid artery and that it suggests possible Moyamoya disease, a rare progressive cerebrovascular disorder caused by blocked arteries at the base of the brain. I have now been referred to a vascular surgeon in LA who specializes in this type of finding and the neurosurgeon was able to get me in ASAP for this to be reviewed and treatment options discussed. I cannot believe that I finally have a diagnosis! I pushed and pushed and was finally able to find something. I am optimistic about the outcome and really believe that I will have treatment and hopefully whooshing gone by the end of this year at the latest. More to follow once I meet with the vascular surgeon, but I wanted to let everyone know that Whooshers.com did give me the info I needed to continue to push these doctors in the direction of a diagnosis by insisting on ordering tests. It took time, but I was finally able to get an answer after continuing to follow up and find doctors who were willing to help. Don’t give up and know that there are doctors out there that WILL help. You may just need to keep pushing to find one. Carrie, thank you for sharing your story. A diagnosed cause of pulsatile tinnitus is just the first step, but it's a huge step. Good for you for being your best advocate, and we look forwad to following your progress. Have You Ever Listened to the Sun? Yep, the Sun is a Whoosher. Well, how about that? The sun sounds like a whoosh. A constant heartbeat-like pulsing sound. "Hear the sounds the sun makes. They're surprisingly soothing." Scientists mapped vibrations that form the "low, pulsing hum of our star's heartbeat." Cool, absolutely. But soothing? I think that's debatable. You're Not Alone. We Get It. There Is Help. This is the link for the International Association for Suicide Prevention. This site has been up and running for almost nine years. When it was launched, I truly didn't think anyone would find it, much less read it. That's in part because I was the only person I knew with pulsatile tinnitus. I was told by doctors - very good doctors in a large US city - that they'd never seen another patient with the symptom I described. Some of them didn't believe me - they actually told me that. I don't think I was completely conscious of the impact of each day that went by before I found doctors to believe me, to help me, and to work with me and for me toward a diagnosis. Looking back, I recall being extremely determined and diligent on my quest to find answers, but was there a part of me that wondered, what if I never do? You bet. And for some of us, years really do go by. It's very difficult for anyone who doesn't experience pulsatile tinnitus to imagine, even if they try to. I recently marked my nine year whoosherversary. What are nine years of pulsatile tinnitus like? Nine years of whooshing = approximately 283,824,000 whooshes. In that time, I've heard from people from all over the world: men and women of all faiths and no faith; all occupations; all levels of education; married, single, widowed, engaged, pregnant. A melting pot for sure. But what's shared among each and every person is a quest for a diagnosis and, in the meantime, a method of coping - that is, a way to get a decent night's sleep, a way to not be anxious all the time about an unknown cause, a way to feel hopeful that the answers are near. In nine years we've come a long way. We led the way to a set of pulsatile diagnosis codes, which formally distinguish our community from the tinnitus community and have already helped many get the attention and tests warranted. Doctors around the world recognize pulsatile tinnitus and continue educating their colleagues. Thousands of people from all over the world have joined our group discussion page and dozens request to join every week. But some people remain in despair, despite the support available now in and for our community, to find answers or methods of coping that work for them. And it's not their fault, nor their choice. Some people with pulsatile tinnitus - especially those with severe intensity pulsatile tinnitus - endure such difficulties dealing with what life with pulsatile tinnitus is like that they decide that they cannot and do not want to live another day. If we're lucky they reach out to tell us - a cry for help. But sometimes they don't, they can't. This post is dedicated to those people, to anyone reading this who may feel that way. By far the hardest part of maintaining a community like this is not the scores of emails each day; it's not moderating our very active group Facebook page. The most difficult part is knowing that some people out there are in such despair that they feel they just can't do it anymore, and not being able to convince them otherwise. It's hearing from people with familiar situations - the doctors do not believe them that they hear a sound in sync with their pulse, or their family does not believe them, or the doctors do not order tests to find the cause nor refer them to doctors who may, or their insurance companies won't authorize the tests that doctors ordered, or their quality of life or work has been irreparably changed with no hope in sight - there are so many obstacles members of our community face. But even the very worst and difficult day for me for reading or listening about someone's despair is nothing compared to the difficulties faced by those who relay these feelings to me, and sometimes, with our community on our group page. While I had no idea anyone would find this site, I sure am glad for each and every person who did. In nine years we have made many accomplishments to increase awareness among patients and the medical community. Personally, I've gained much optimism from the success stories, the Cured Whoosher stories, even the small steps members of our community make every day toward a diagnosis and treatment ("I helped my doctor understand that pulsatile tinnitus is not tinnitus!" "I made a doctor's appointment!" "I had my cerebral angiogram and it wasn't too bad!"). I'm grateful to see every new visit to this site, every new member request to our group page, because I know that reaching out is sometimes not the easiest thing to do.